Demand for residential has remained "stable" in Wakefield, but the number of available places has fallen. 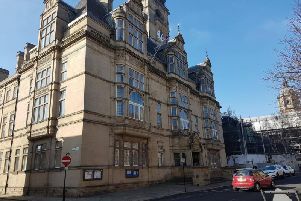 A council meeting was told on Monday that some providers are no longer doing business in the North because customers cannot pay as much as those elsewhere. Care homes are struggling with a nationwide shortage of nurses. It comes as local authorities face increasing pressure on their social care services for the elderly. Wakefield Council itself has seen a nine per cent year-on-year rise in demand for its help. And care homes themselves are struggling to staff their homes appropriately because of a shortage of registered nurses, the authority's corporate director for adults and health, Andrew Balchin, said. Over the last year, at least 10 residential venues and homecare providers in the Wakefield district have been placed in special measures by the Care Quality Commission (CQC) over concerns their residents are not safe. In some cases this has led to homes closing down when they have been unable to deliver quick improvements, while others have shut down their service for financial reasons. Companies believe they will make more money in the south where people can pay more, Mr Balchin said. Mr Balchin told Wakefield's audit committee: "The picture nationally is one of change and some of that is because providers are making a judgement that they're no longer able to provide a type of care. "We are seeing a reduction in the number of care places available in the district and in the region. "The largest factor is the inability to attract qualified nursing staff. It's less about the money than about the national picture around nursing vacancies. "We're also seeing an increase in some providers withdrawing from residential care. "That's been primarily some of the big national companies, who've decided to concentrate their operations on southern parts of the country where they can charge substantially more for care home places. "The economics of the care home market has meant more of a focus on the more lucrative parts of southern England than on the North, where people are less able to pay the rates that can be charged elsewhere." Despite the falling number of places available, demand in Wakefield for residential care homes has remained "stable", councillors were told. This has been attributed to the authority taking more "early action" to support elderly people living independently at home, so their condition does not deteriorate. Mr Balchin also said care providers were facing "uncertainty" as a result of the government repeatedly delaying a new report about the future of social care funding. He added: "It was anticipated that that would be looking at the balance between local authorities and central government, and how much is contributed by an individual towards the cost of their own care. "While that uncertainty remains the market will be quite fragile."